The Rev. Canon Kay Goldsworthy will be consecrated a Bishop in the Church of God on 22 May, in St George's Anglican Cathedral, Perth. 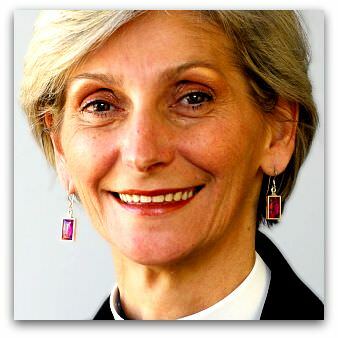 She will be the first woman to become a bishop in an Australian church, although women have been appointed as bishops elsewhere in the Anglican Communion since 1989. No-one who knows Kay Goldsworthy would question her spiritual, intellectual, pastoral or administrative capacity for episcopal ministry. She was one of the first women ordained deacon in 1986, and one of the first ordained priest, in 1992. She has held school, parish, diocesan and international positions. But Bishop Goldsworthy will face significant pressures. Some will arise from the nature of a bishop's vocation. Others will come from those who cannot accept the legitimacy of a woman as bishop, and from those who have been waiting for this moment for decades. The Anglican bishops, meeting this week in Newcastle, have worked hard on ways of accommodating opposition, but at local level this is unlikely to be a large issue. Opponents will have little direct contact with the new bishop. Supporters of the ordination of women, on the other hand, can place unhelpfully high expectations on both the women concerned, and on the church as an institution. As time has passed, these pressures have eased, but may be reignited. Where clergy constitute a mix of women and men it is soon realised that holiness, effectiveness and pastoral sensitivity are not the preserve of either gender. But deacons and priests function largely in congregations, where they become known personally. That they are male or female is less significant than their ordained identity. A bishop is seen much less regularly at parish level, and a new bishop is something of a curiosity to those who do not know them already. Bishop Goldsworthy may need considerable patience to help some supporters move beyond stereotypes. And a bishop is a representative person, a personal sign of the wider church to the congregation. Here, many people retain the deeply-held presumption that men can represent both women and men, but women can only represent women. This is unlikely to be an issue in Goldsworthy's home diocese, where she has undertaken episcopal roles for some time. Yet it may present issues in relating to other parts of the Anglican Church, and ecumenically. This situation will be eased considerably when another woman is nominated or elected as bishop in the near future — it is not as if Australian women with the capacity to be a bishop are few in number. That would at least dilute the pressures of being the 'token woman', especially in bishops' meetings, where Bishop Goldsworthy would be a lone voice, and with the best of intentions still expected to give 'the women's point of view'. Fortunately, she has the opportunity to experience working in a mixed group of bishops when she participates in the Lambeth Conference in July. One interesting aspect of this appointment is the date. It is traditional practice for a bishop to be consecrated on a 'red-letter' feast day. In 2008, 22 May is the Thursday after Trinity Sunday, 'Thanksgiving for the Institution of the Holy Communion' — 'Corpus Christi'. It is a feast included in the Australian Anglican Calendar only in 1995, a tangible sign of ecumenical progress. The celebration of this day in this year may bring challenges, but it may also be a sign of hope of Christian churches walking down a wider path. Charles Sherlock is an Anglican theologian, currently Registrar of the Melbourne College of Divinity, and a Canon of St Paul's Anglican Cathedral, Melbourne. The Sydney Morning Herald still hasn't got it quite worked out, when it announces "Mum of twins becomes first female bishop". We won't ever see the headline "Dad of twins becomes bishop". Minister Kay's elevation to the rank of Bishop in the Anglican Church is political rather than Sacramental. I have no doubt about her suitability for the position if one believes in the oligarchy that the sacramental churches are. If sacramental then they should be traditional. If non sacramental then the priesthood of all believers should prevail. As such, one's gender would make no difference. Slowly, we are seeing that we can meet the needs of people everywhere without having to kowtow to rules and regulations formulated by medieval-minded men. Why doesn't it surprise me that a Jesuit article is promoting the idea of the ordination of priests, let alone bishops? You have chosen an interesting phrase to introduce Sherlock's Theology comment. "Last pane lifted from church ceiling...."
Let's not forget that firstly, the English Reformation saw lots of beautiful stained glass destroyed for what it's sentiments represented. Secondly, there was lots of PAIN suffered by those Catholics on that island that refused to follow the stat quo. How about getting Benedict XVI to meet her to see that it ain't so bad after all to have women priests...and women Bishops . The secular media tends to frame Church politics as a tussle between progressive and conservative. If that perspective is true, both sides of the divide rely upon a shallow analysis of the cultural change that shaped Western society since the 1960s.